On April 9, 2018, a new writer/artist debuted on the long-lasting legacy comic strips, Nancy. It was the first artistic change in 23 years. 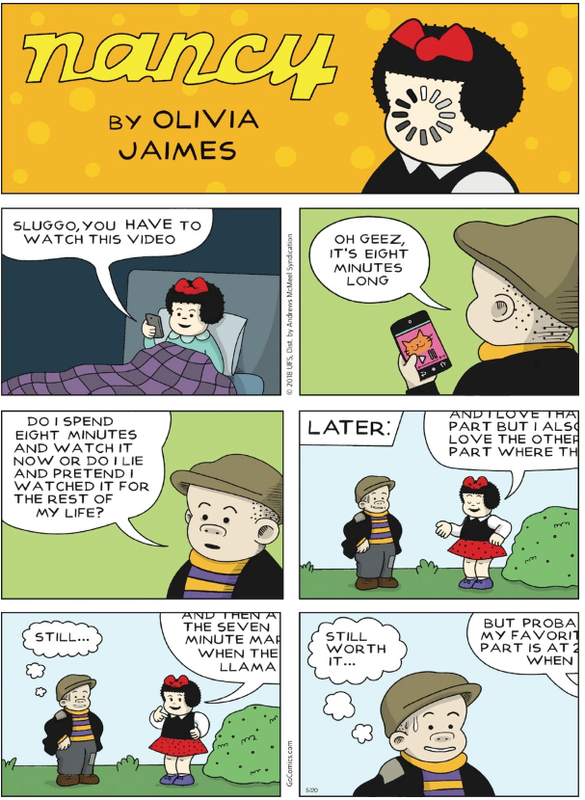 Taking over for Guy Gilchrist was Olivia Jaimes, a pen name, who promised to bring a 21st Century female perspective to the 80+ year-old strip. While reviews were initially mixed, Nancy has become more relevant and most of the negative comments are dismissed as being readers upset that this wasn't their Nancy anymore. But you can be the judge of that. Here is a small sampling of Nancy comics over the last year or so. 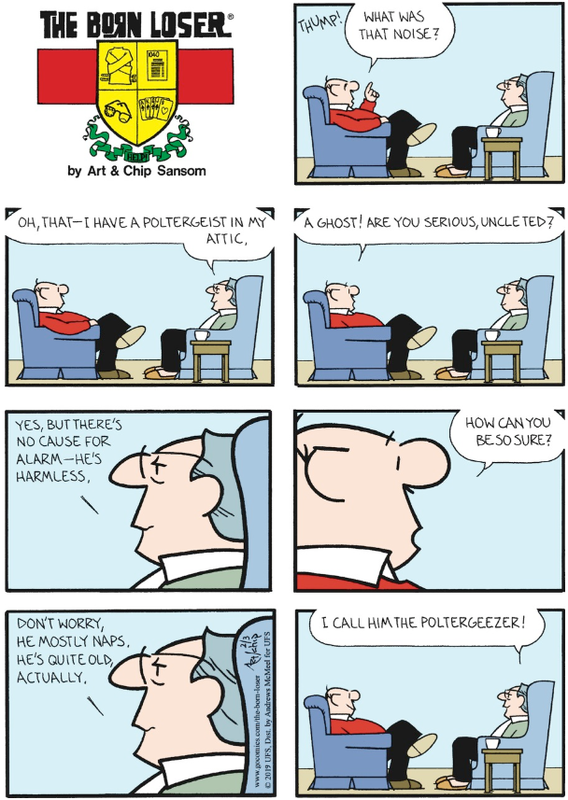 For more, you can visit www.gocomics.com/nancy. If you would like to support my writing or research, you can buy me a cup of coffee over on Ko-Fi. No commitment or subscription required. I am not a believer in ghosts. I know, that's sound shocking coming from someone who seems to write a lot of ghost stories and traipses around cemeteries and deals with history but I am a spectral skeptic. Anyway, we all know that noise is really a kid that Uncle Ted kidnapped and has locked in a small cage in his attic, right? He's getting hungry. So very hungry. You Had To Add 'Pro'?